The UT Asset Manager provides a subset of dedicated functions for specific utility workflows, e.g. 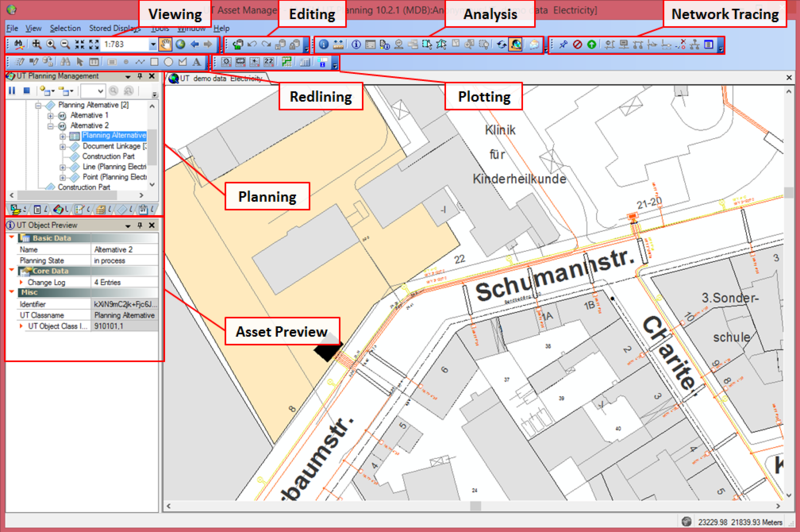 network planning, alpha-numerical data editing or mobile use of offline data. 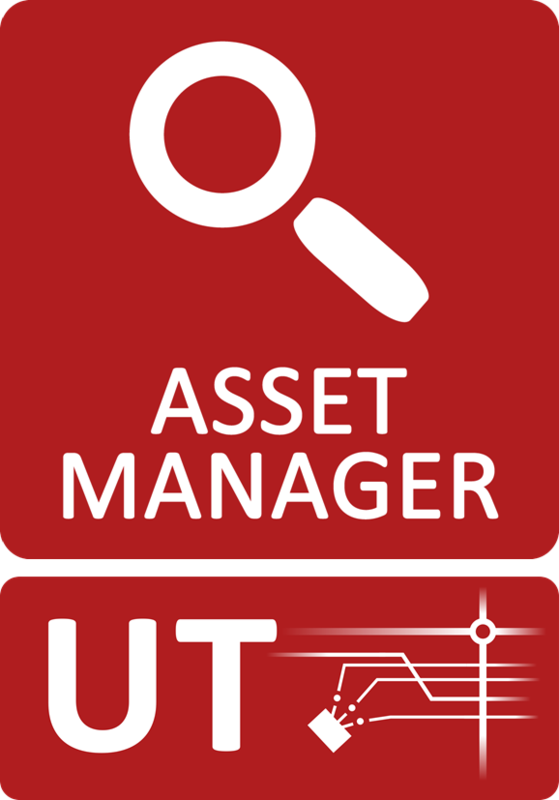 The UT Asset Manager can be viewed as an “Explorer” of your network asset data. It allows for viewing, searching, analysis and printing of both geographic and alpha-numerical. The Graphical User Interface (GUI) has been reduced as much as possible to allow maximum view on the graphical data and on the fly-in windows with technical alpha-numerical data. End-users only have to learn a limited number of buttons which pertain to their workflows. 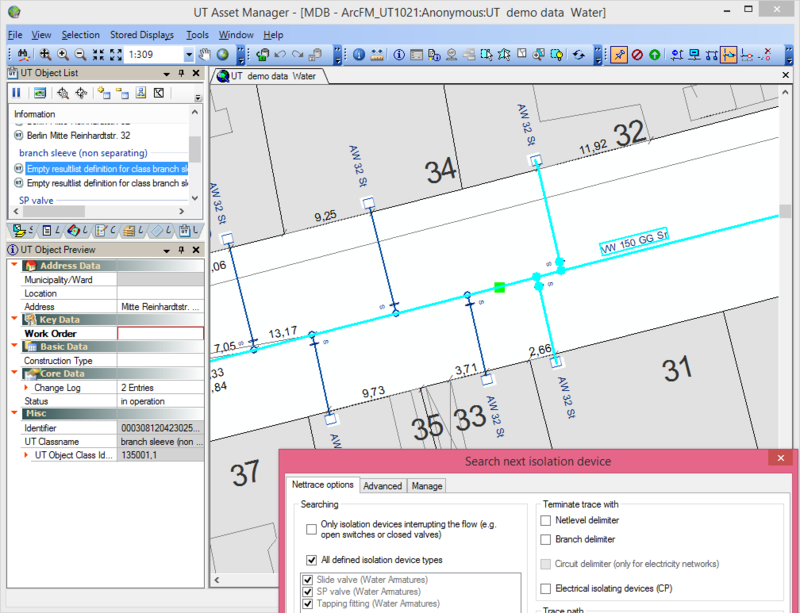 You may simply view the network and edit the alpha-numerical asset data, or as a planning engineer you may use this low-cost tool to plan new network extensions and variants. Field engineers will like the possibility to take any amount of data offline into the field. The UT Asset Manager Mobile extends the UT Asset Manager to use any amount of data offline in the field. Specific functions like redlining, GPS support, Simulation of valve isolation, or preparation of maintenance tasks support the field engineer. Data from your server may be replicated to an offline device. 1-Way as well as 2-Way synchronization mechanisms based on Esri technology are available. UT Asset Manager Mobile enables role-based checkouts by geographical areas, both interactively and based on scheduled tasks.